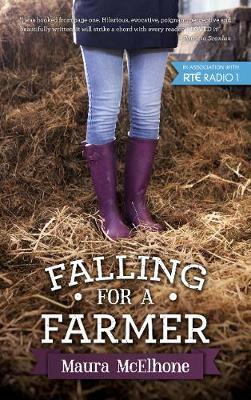 Blending amusing anecdotes with thoughtful reflections and lessons in love, life and farming, Falling for a Farmer takes readers on the journey of a returned emigrant who comes back to Ireland looking to rediscover home, and does so, albeit through unexpected means. A sort of Bridget Jones's Diary meets All Creatures Great and Small, Falling for a Farmer is one woman's true life story of her journey from wide-eyed townie to full-blown farmer's girlfriend. From pulling calves and wrapping bales, to being 'stood up for silage' and receiving the phone call that every farmer's loved ones dread, Maura McElhone's memoir chronicles the often humorous, sometimes sobering experiences that ensue when town and country collide.